This post is part of a Dodo series focused on endangered species. Go to racingextinction.com to learn about an upcoming film on threatened animals and an event the evening of September 20 sponsored in part by The Dodo. Numbering only 250 to 340 big cats, the endangered Malayan tiger is even rarer than thought, according to a new report from Malaysia's Department of Wildlife and National Parks and the environmental organization Malaysian Conservation Alliance for Tigers (MYCAT). In 2008, the International Union for the Conservation of Nature listed the Malayan tiger - a genetically distinct tiger subspecies found only on the Malaysian peninsula - as endangered, with previous estimates of the population ranging from about 500 to 1,000 individuals. But reviewing the current state of the Malayan tiger paints an even bleaker picture. Studies relying on camera traps at three key tiger habitats, taking images from 2010 to 2013, puts the number of big cats at no more than 340. 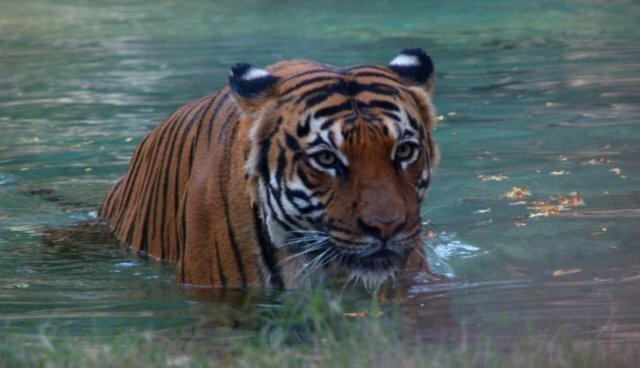 "Poaching for illegal commercial trade is the greatest and most urgent threat to tigers in Malaysia, followed by loss and fragmentation of forests," says the Department of Wildlife and MYCAT, in a joint release. A National Tiger Conservation Action Plan, in place since 2008, had aimed to grow the wild population to 1,000 tigers roaming Malaysia's forests by 2020. "With the new estimate in 2014, that target may now be unachievable in this timeframe." The tigers now qualify for "critically endangered" status, the Malaysian government and MYCAT say. To curb poaching, the Malaysian Wildlife Department plans to create "Tiger Patrol Units" in the three key areas of tiger forests, as well as conduct a survey through Malaysia's Central Forest Spine that will put more "boots on the ground." Though more boots will help, it's also critical to preserve the tiger's prey, according to a 2013 report. In particular, sambar deer, bearded pigs and gaur (a type of wild cattle) are rare in unprotected forests - and so are the tigers. 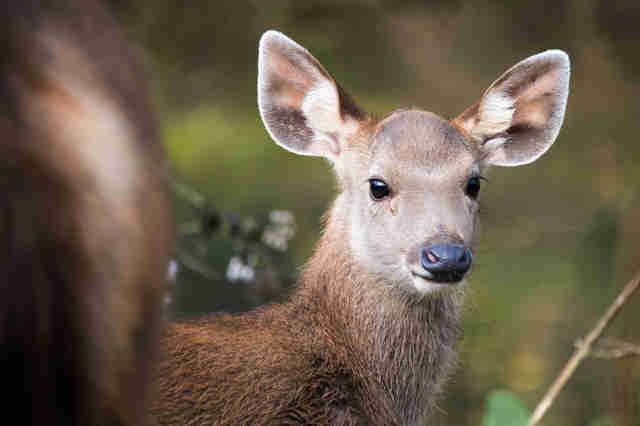 The pigs and gaur have protection under Malaysian law, but not the deer. "If sambar deer numbers go down, tiger numbers will too and the evidence is already pointing in that direction," says WWF-Malaysia's tiger biologist, Mark Rayan, in a statement in August 2013. "The two species are inextricably linked."